About the Book: Nothing good comes from living in the Devil's swamp. Willow Bell thinks moving to the Okefenokee area isn't half bad, but nothing prepares her for what awaits in the shadows of the bog. Girls are showing up dead in the swamp. And she could be next. 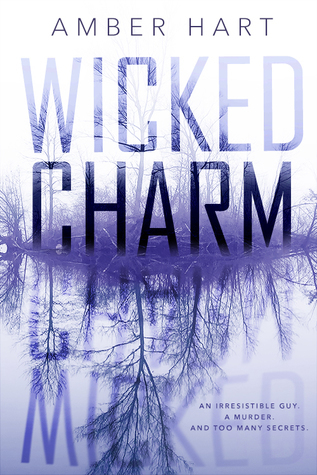 Everyone warns Willow to stay away from Beau Cadwell—the bad boy at the top of their suspect list as the serial killer tormenting the small town. But beneath his wicked, depthless eyes, there's something else that draws Willow to him. When yet another girl he knew dies, though, Willow questions whether she can trust her instincts…or if they're leading to her own death. About the Author: Amber Hart resides on theFlorida coastline with family and a plethora of animals she affectionatelyrefers to as her urban farm. When unable to find a book, she can be foundwriting, daydreaming, or with her toes in the sand. She's the author ofthe Before & After series and the Untamed series. Rep'd byStacey Donaghy of Donaghy Literary Group. Noteworthy experiences while reading this book: I thought I was getting a really intersting mystery/thriller but ended up getting a romance with steam. Notes and Opinions: This one just didnt work out for me at all. The story was just to far fetched (parents allowing their teen daughter to go out with a murder suspect to the swamp where bodies were found!). I wouldnt let my kids go anywhere a body had been found let alone with someone on the suspect list! This one was just a jumble of this and that and really seemed like it didnt know what it wanted to be. For me the story was all over the place and just not realisistic.